Zindagi Virat Teaser: A Satirical Fun Ride About Death! Home Videos Movie Trailers Zindagi Virat Teaser: A Satirical Fun Ride About Death! Not many films can manage to look at serious subjects in a satirical & fun away. Films which manage & succeed in it becomes special films in every way. ‘Zindagi Virat’ seems to be one such ambitious film. 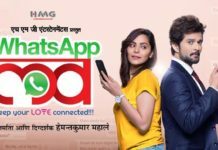 The film stars an under-appreciated talented young actor Om Bhutkar in a important role, & that seems to be the most exciting fact about it. 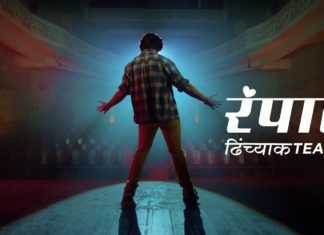 The teaser also introduces us to the rest of the cast that includes Atul Parchure & Bhau Kadam among others. Kishor Kadam plays the dead father in this film though with a twist. This twist seems to be the main conflict of the film. In Marathi such satirical films are not made that often & hence this subject itself sounds very novel. It would be interesting to see what the trailer would reveal more about the film. So far the poster & the teaser have definitely excited us for the film which is set to release on 29th September. Previous articleUbuntu Trailer (Marathi Movie): A Film That Propagates The Essentiality of ‘Education for All’!